The last time Jeep offered a pickup truck, Lee Iacocca was CEO. Over the 26 years since, enthusiasts clamoring for a Jeep with a bed have been let down by Chrysler Corporation, DaimlerChrysler AG, Chrysler LLC, Chrysler Group LLC, and FCA US LLC. But now the wait is over. 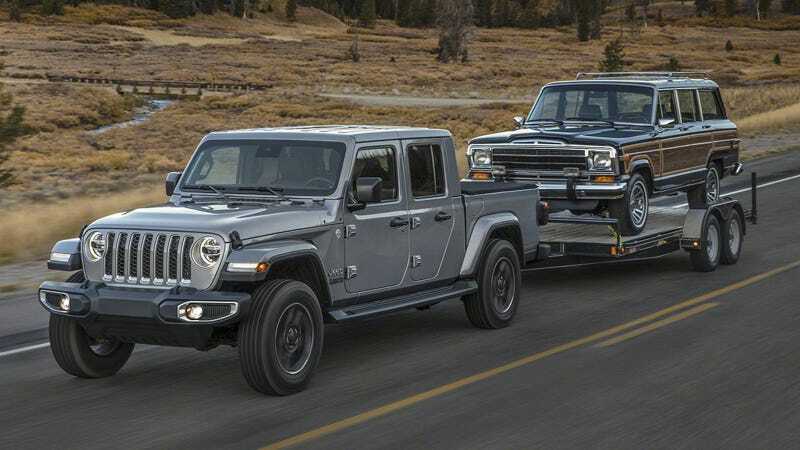 The 2020 Jeep Gladiator is here, and it is glorious. Here’s what we know about the long-awaited Jeep truck. Under the hood is apparently the same 3.6-liter Pentastar “Upgrade” engine found in the JL, making 285 horsepower and 260 lb-ft of torque. It can be had with either an automatic (Truck Trend, strangely, says it’s a six speed auto and not the eight speed found in all other Pentastar applications Update: Never mind, it’s an eight-speed) or a six-speed manual. Truck Trend also says the 3.0-liter EcoDiesel should come in 2020 with 260 horsepower and 442 lb-ft, bolted to an eight-speed auto. We don’t know if a 2.0-liter will be available. Correction Nov. 28, 2018 2:45 P.M. ET: Turns out it’s actually a 2020 model and not a 2019. We’ve corrected the headline and the body of the story.